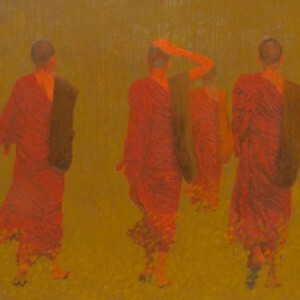 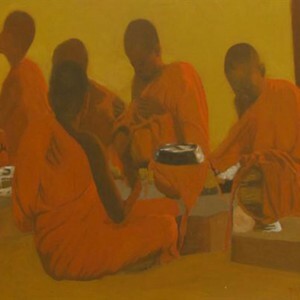 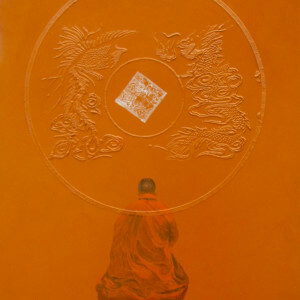 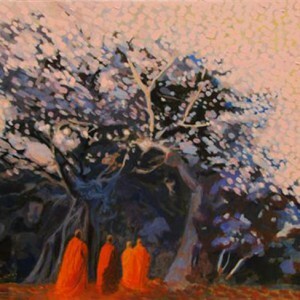 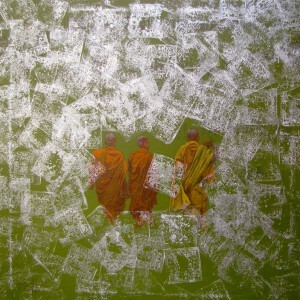 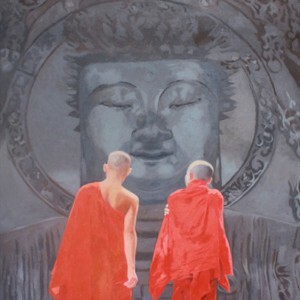 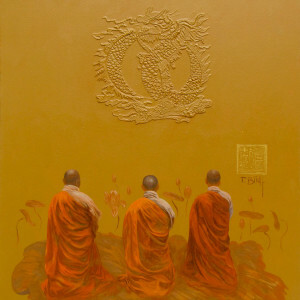 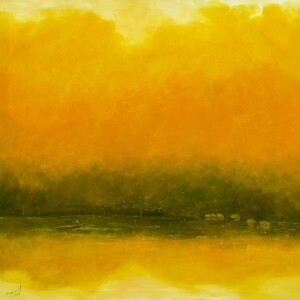 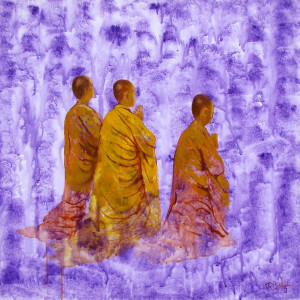 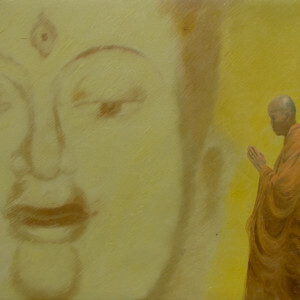 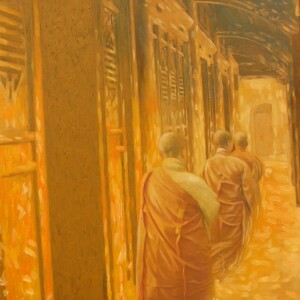 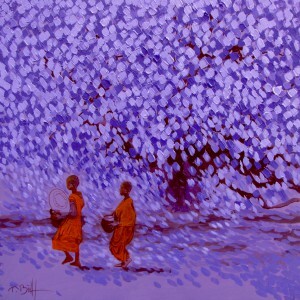 In his canvases, Vu Thai Binh manages to combine typical contemporary Asian art naturalism with metaphysical subjects. 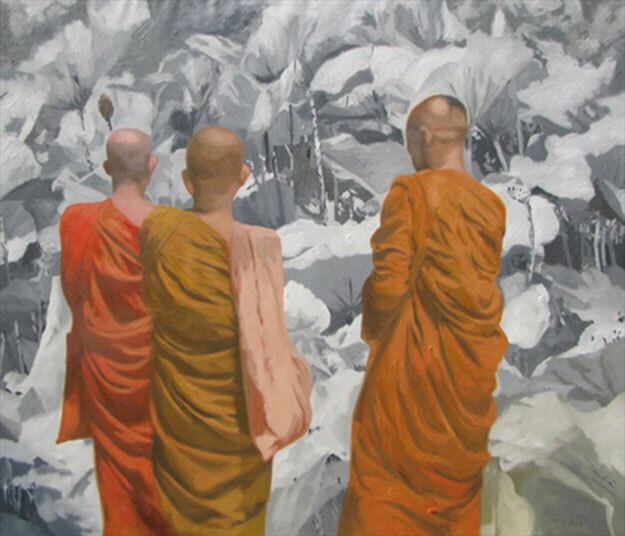 His complementary visual language is based on a precise depiction of figures and details (almost like a photograph) that fit into a decorative, stylized background. 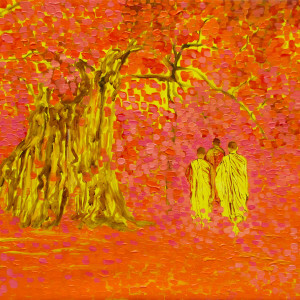 This way the artist achieves an overwhelmingly surreal atmosphere. 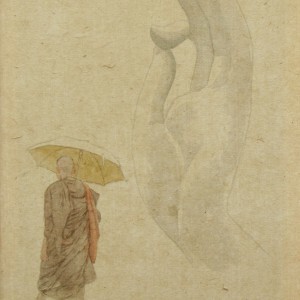 This is an amazing composition!